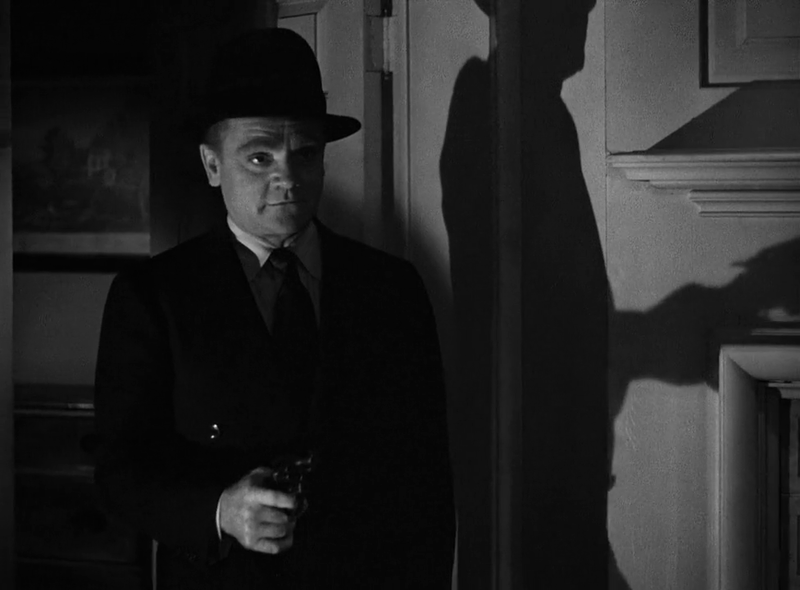 When psychopathic criminal Cody Jarrett (James Cagney) is released from prison, he immediately enlists his gang in holding up a train, resulting in the death of four workers and the fatal wounding of one gang member (Ford Rainey). 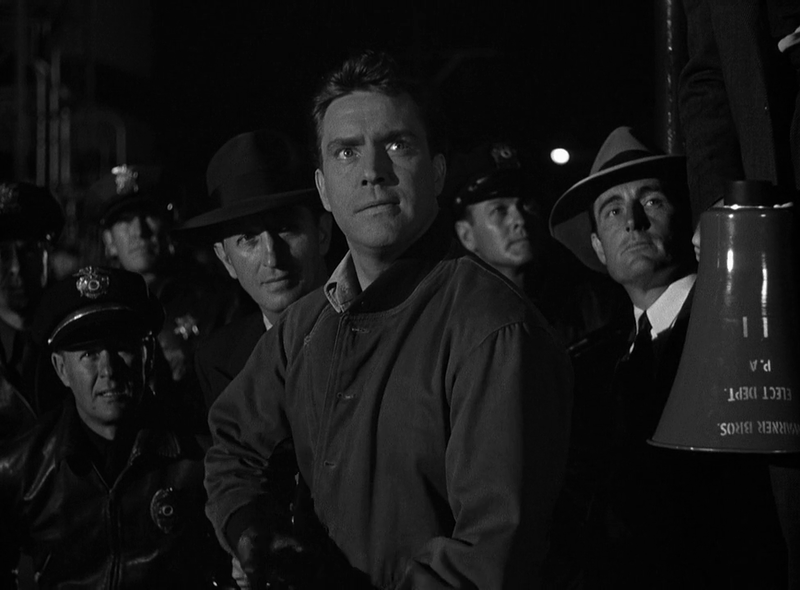 While in hiding with his mom (Margaret Wycherly) and his bored, gold-digging wife (Virginia Mayo), Cody cleverly confesses to a smaller crime to distance himself from the train robbery, and gets sent back to prison, where he befriends an undercover cop (Edmond O’Brien) hoping to discover who Cody’s “fence” (Fred Clark) is. 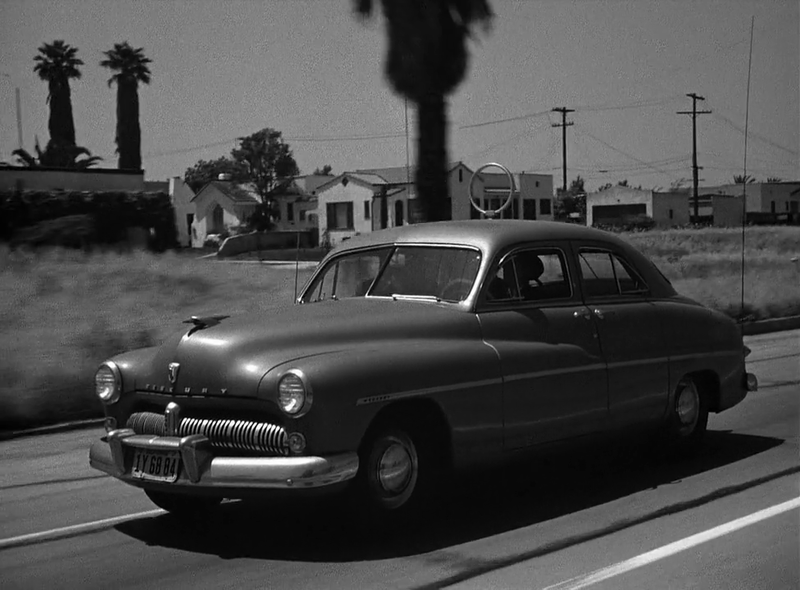 Meanwhile, Mayo carries on an affair with hunky gang member “Big Ed” (Steve Cochran), causing “Ma” (Wycherly) to intervene on behalf of her beloved son. Peary notes that this “superb gangster film” — which reunited “director Raoul Walsh and James Cagney, who had starred in his The Roaring Twenties” — has “remarkable pacing; great touches; [and] hard-hitting, brilliantly edited action sequences”. 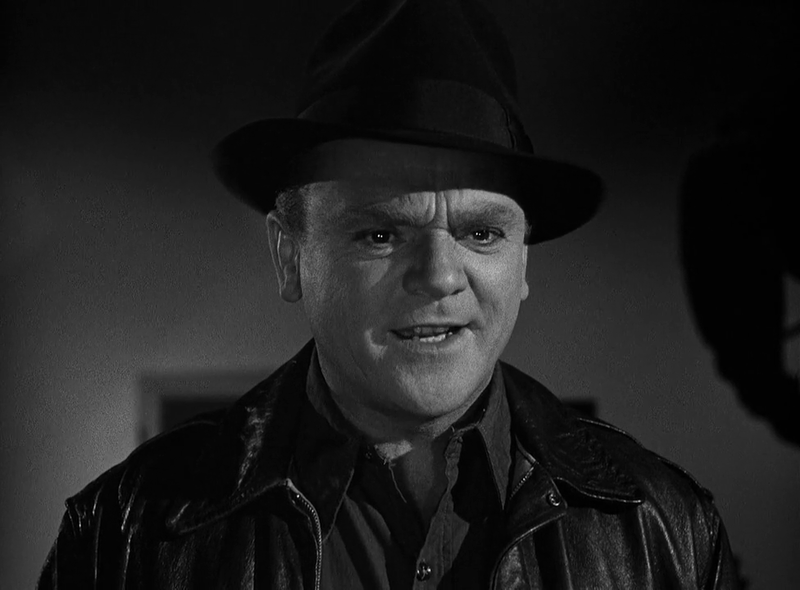 He spends most of his review lauding Cagney’s bravura performance as “Cody Jarrett”, who is “more cunning, energetic, humorous, violent, suicidal, more everything than any of his gang members”, and who, despite being “cynical about the world”, remains “optimistic about his own future” and certain about “his own immortality”. 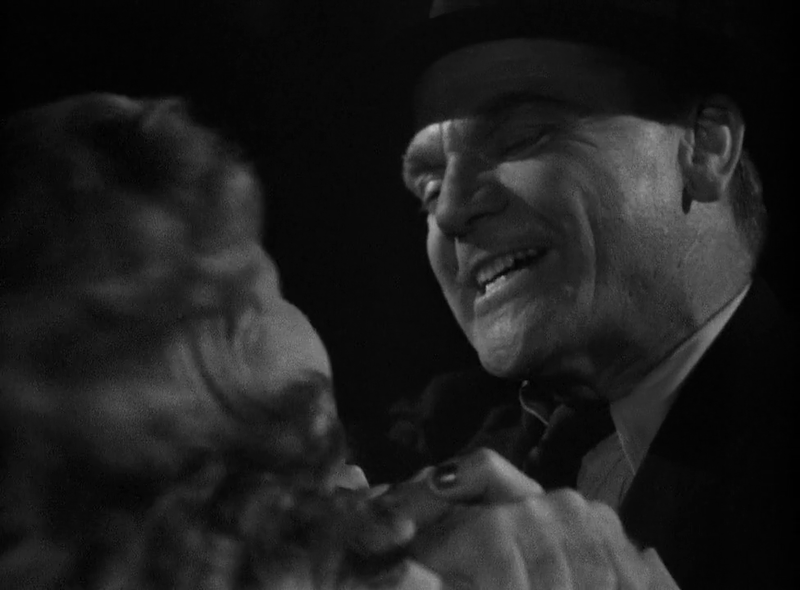 Peary points out that unlike Cagney’s ’30s gangsters, who “became tough, bitter killers because of the cruel Depression Era”, Cody “is insane”, with a “criminal father [who] died in an institution”, and a “shrewd Ma (who never blinks)” who “would have trouble passing a lunacy test”. Speaking of Cody’s “Ma” (played “brilliantly” by Wycherley), Peary notes that Cody’s “mother fixation is so weird — he even sits on her lap — that [he’s] sure the film would have run into censorship problems if Cody hadn’t also had a wife”. 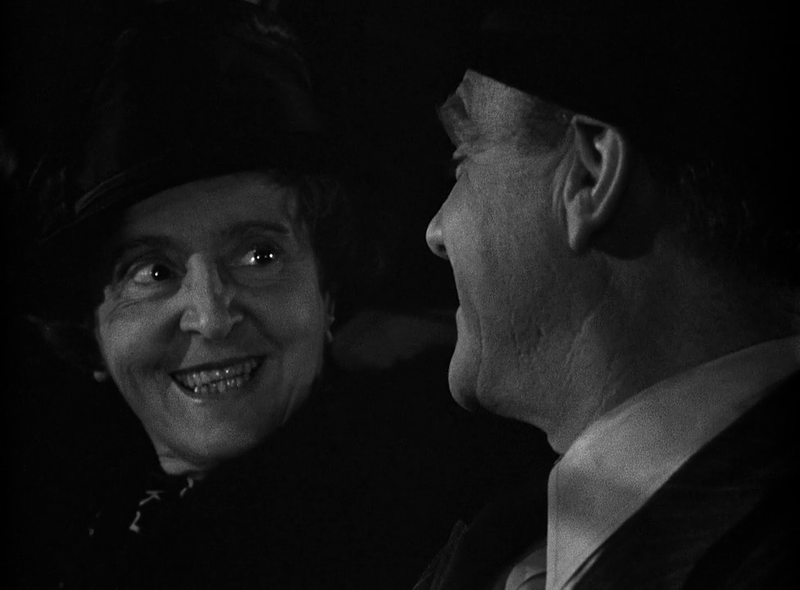 Cagney’s performance is clearly a stand-out, but the entire supporting cast of White Heat is excellent as well — most notably beady-eyed Wycherly as Ma. (In the pantheon of villainous “screen moms”, she lands near the top.) The narrative — based on a story by Virginia Kellogg (who wrote the script for Caged) — is tense from the get-go and never lets up; with a deranged, manipulative psychopath like Cody on the loose, there’s no telling what kind of violence will happen next, or whose life will casually be snuffed out. In addition to scenes already mentioned, particularly memorable moments include Cody lying to a blinded, severely burned gang member he intends to have killed after leaving him behind; all scenes in which O’Brien must successfully pass himself off to Cody as a would-be hoodlum; and Ma’s ride home after buying strawberries. Yes, as a genuine classic of the genre. Nominated by Peary as one of the Best Films of the Year in Alternate Oscars. Added to the National Film Registry in 2003. [Boy, it’s been a long time since I last saw this Cagney classic – and it holds up better than ever! Gangster pics can sometimes have an air of familiarity in their storylines, even if new elements are added to the mix. 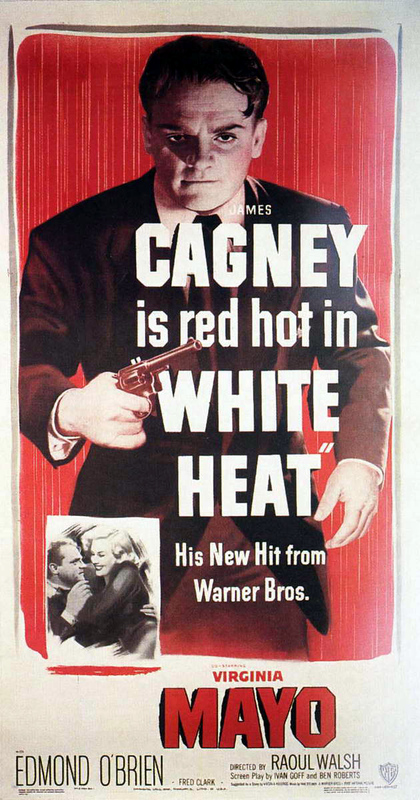 But ‘White Heat’ really is a standout in the genre. 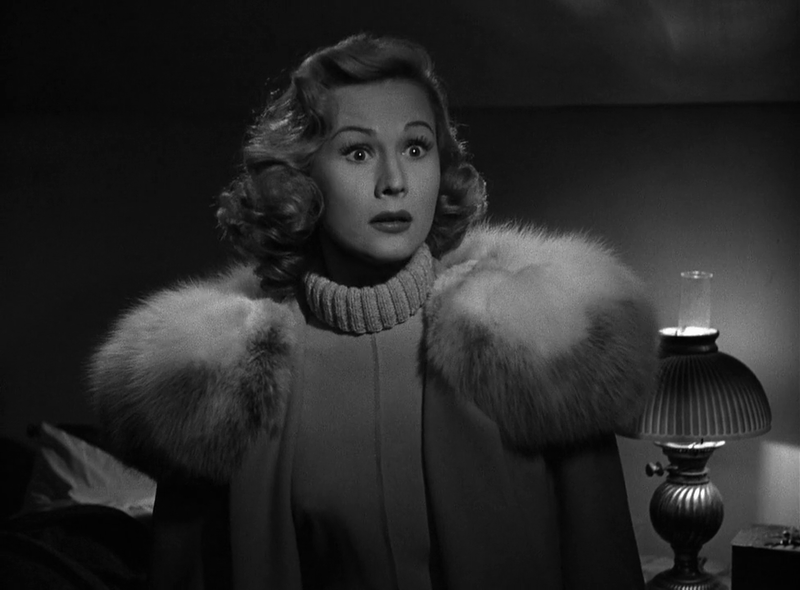 Special kudos to Virginia Mayo in a rare layered performance, Edmond O’Brien, Steve Cochran (for being Steve Cochran), Margaret Wycherly (as Ma!, insanity does not fall far from the tree here)…all this, and Fred Clark, too!